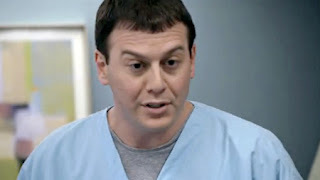 Push Time: This Hollywood doctor's cameo on "Parenthood"
Over the past couple of years, Dr. Zach Lutsky (C'97) appeared on the Dr. Oz show, and was the medical consultant for "Miami Medical" and "ER". Last week, what started out as a behind-the-scenes TV medical consultant role turned into a small acting cameo for Zach in a scene with Erika Christensen on NBC's season finale of "Parenthood". After the jump, watch the clip and find out about Zach's "surreal" experience. Last we heard from Kelly Diamond (C'13), our on campus correspondent, we were introduced to a singing Penn professor and the annoying and often pointless Van Pelt bag check exercise. Today, Kelly's back with a new logo and some fun 15 second clips from this weekend's Spring Fling.